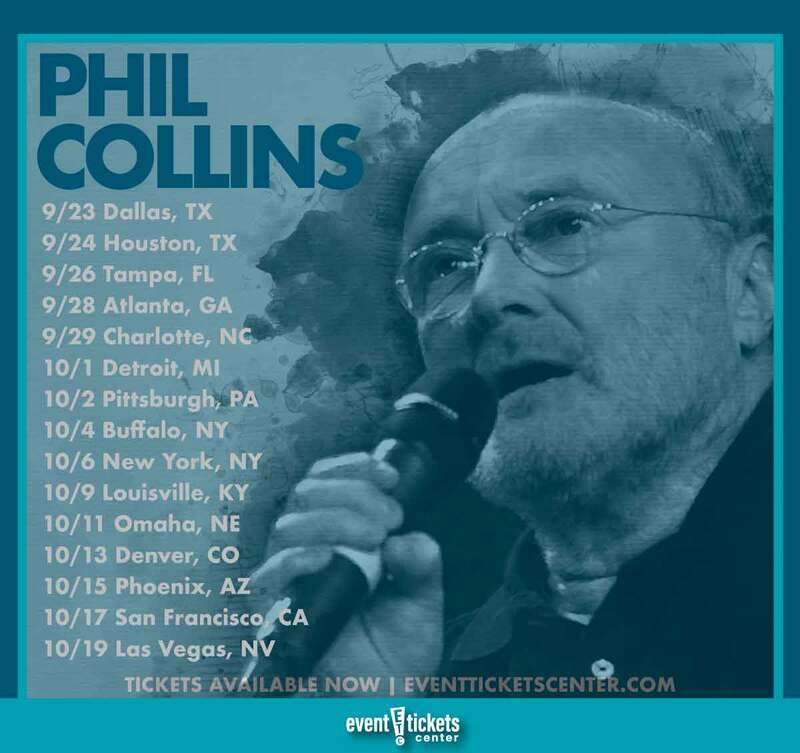 Legendary singer-songwriter Phil Collins will be returning to stages across the US this fall, expanding his “Still Not Dead Yet Live!” tour after a wildly successful first run last year. The 15-city trek kicks off September 28 in Dallas, TX and will travel coast-to-coast hitting cities like Tampa, Pittsburgh, New York, Louisville, and Denver before Collins wraps things up with a final performance at the T-Mobile Arena in Las Vegas on October 19. Fans can expect a hits-filled set list, with Collins set to perform several chart-toppers from throughout his 40+ year career. “In The Air Tonight,” “Against All Odds,” “Follow You Follow Me,” “Another Day in Paradise,” “Easy Lover,” and “Invisible Touch” are just a few that have been named as making the cut. Collins will be backed by the same band that joined him on last year’s run, including guitarist Daryl Stuermer, bassist Leland Sklar, keyboardist Brad Cole, percussionist Richie Garcia and his son, Nicolas, on the drums. The setup will also include a four-piece brass ensemble with backing singers. Check out a full list of dates for the second run of the “Still Not Dead Yet Live!” tour and snag your tickets today! 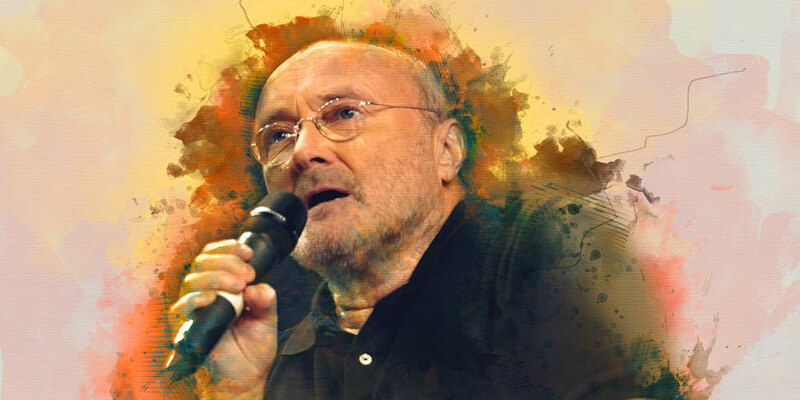 Multi-platinum singer/songwriter Phil Collins broke through to international mainstream success as the drummer-turned-vocalist for rock group Genesis. Before breaking records and achieving worldwide fame, however, Collins was a child star, singing and acting in stage productions through his teenage years. His first break in the music industry arrived in 1970, when he was given the opportunity to play as a replacement drummer in Genesis. Genesis achieved moderate success in the UK and US, releasing elaborate concept albums before the abrupt departure of frontman and vocalist Peter Gabriel in 1974. After auditioning several new singers, the group decided to give Collins a go at the mic. Genesis’ sound gradually began to simplify with Collins at the helm, putting more focus on their new singer’s unique and expressive vocals. With a new sound and Collins fronting the band, Genesis achieved renowned global success. Collins made his solo debut a few short years later, releasing his debut album Face Value in 1981. The album rocketed to the top of the charts on the strength of Collins' striking voice and major hit singles like “In the Air Tonight.” Face Value became a bigger hit than any Genesis album. He continued to balance his solo work with his membership in the band throughout ‘80s and into the early 1990s until 1995 when he parted ways with the group. Collins continued to release new material over the course of the next decade, however he spent most of his time out of the spotlight (due largely in part to struggles with his health). The singer would make a comeback in 2014, returning to collaborate with fellow Brit and singer/songwriter Adele. Shortly thereafter, he began working on reissuing his solo albums, live recordings and demos, and even got to work on publishing an autobiography dubbed Not Yet Dead: The Memoir. Collins has sold over 150 million albums worldwide, making him one of the best-selling artists in the world. He is one of only two recording artists (the other being Sir Paul McCartney) to have sold over 100 million records worldwide both as solo artists and as part of a band. Collins has taken home eight Grammy Awards, six Brit Awards, two Golden Globes, and one Academy Award (for his work on Disney’s Tarzan soundtrack). He is an inductee of several Hall of Fames, including the prestigious Rock and Roll Hall of Fame, where he was inducted as part of Genesis in 2010. Where is Phil Collins playing near me?